Discussion in 'iPhone and iPad Games' started by Tbiz5270, Feb 24, 2015. Experience the wonderful and adventurous life of a stick figure! 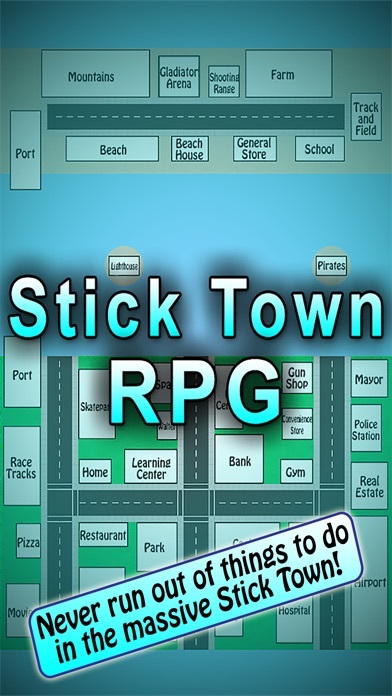 Stick Town RPG is an exciting journey through wealth, hardship, fame, crime, relationships, and progression in a massive and diverse stick people town. Your goal is to reach a net worth of ,000,000,000 in as few days as possible. That is essentially how you “win” life as a stick figure. However, you can live your life however you want! Don’t let me tell you what to do or how to win. Just explore and have fun! There is more than enough to do in town to keep you busy and making money! There are numerous buildings to explore and a countless amount of activities to do within Stick Town! 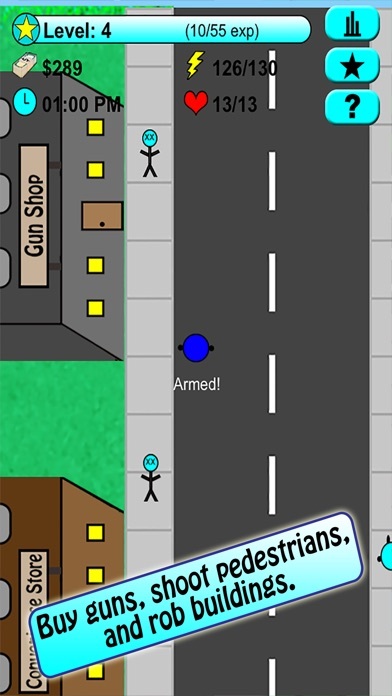 - Buy guns, armor, and hire friends to help you rob buildings and pedestrians. 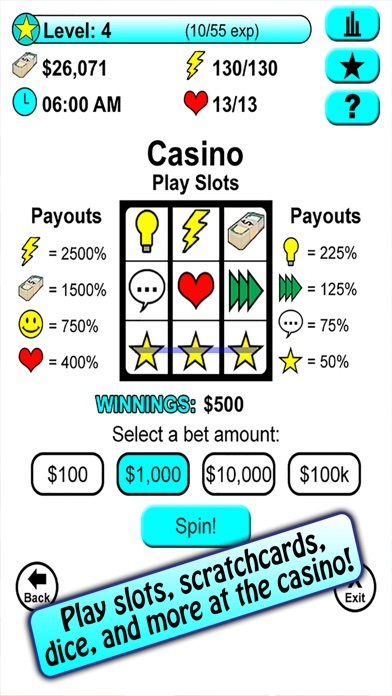 - Play slots, dice, and scratch cards at the Casino. - Start missions with huge rewards at the Mayor’s Office. - Gamble on or play jockey in horse races at the Race Tracks. - Enter Gladiator Battles at the Gladiator Arena. 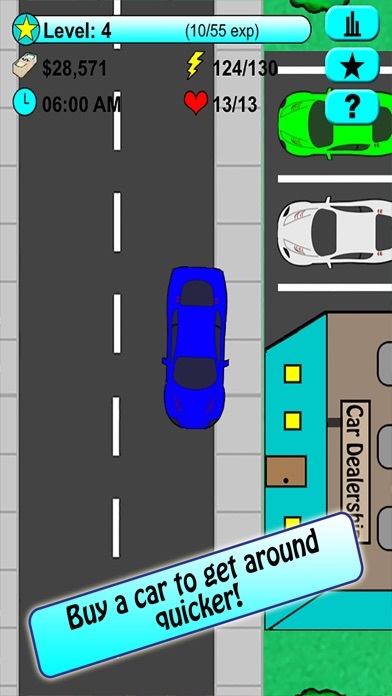 - Play a pilot mini-game or purchase an airplane for fast travel at the Airport. - Rent a boat at the Port to travel on water to visit the islands. - Battle pirates and steal treasure at the Pirate Cave. - Play a “Guide the Boats” mini-game at the Lighthouse. - Learn new things and increase skills at the Learning Center or School. - Relax and gain energy back at the Spa. - Make money with a regular job doing IT work, waiting tables, helping at the hospital, or becoming an actor. - Enter fighting competitions to win big money at the Bar or Casino. - Make extra cash as a delivery guy at the Pizza Shop. - Earn daily revenue by purchasing Real Estate or investing at the Bank. - Master the art of farming to earn huge cash at the Farm. - Go hiking and hunting in the Mountains. - Play a “Shoot the Target” mini-game at the Shooting Range. - Visit the Beach to relax or enter go surfing. - Sleep and work on side projects for extra money at Home or your Beach House. - Increase your happiness by visiting friends. - Get some exercise in at the School’s Track. - Enter skating competitions at the Skatepark. And SO MUCH more! I like it so far - keep up the good work. Thanks! Look forward to the major updates! Version 1.1 is complete and waiting for review. It should be approved and ready to download in about a week. This version will not yet have all of the updates I mentioned in my reply above. The major changes I mentioned will not be available until version 2.0 which will not be complete for a few more weeks. MASSIVE Update! Version 2.0 doubles the size and content of the game! Countless New Activities and Features! - and TONS more new buildings, activities, and mini-games! This is another HUGE update and won't be ready for a couple more weeks! Version 3.0 was just released! Version 3.0 is a huge update with tons of new content! - Start missions with huge rewards at the mayor’s office. - Rent a boat at the Port to travel on water to new islands and areas. - Buy a plane at the Airport for quicker traveling. 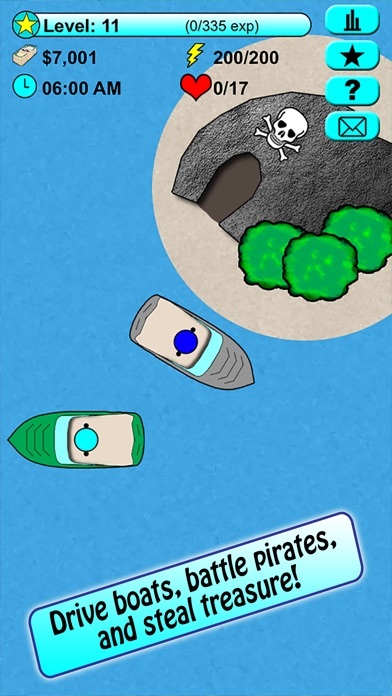 - Play a “Guide the Boats” mini-game at the Lighthouse. - Battle pirates and steal treasure at the Pirate Cave. - New mini-games at the Skatepark and Airport. - Updated horse racing mini-game at the Race Tracks. - Get some exercise in at the School’s Track. - Improve your knowledge at the new School. - Master the art of farming to earn huge cash at the Farm. - Go hiking and hunting in the Mountains. - Play a “Shoot the Target” mini-game at the Shooting Range. - Go to your Beach House to sleep while staying on the island. - Visit the Beach to relax or enter go surfing. - Fixed bug where you lose money if you go above $2.1bil. However, you still can't go above $2.1bil yet until some data issues are resolved in a future update. But at least you won't lose the money now. A small update was also just released today that created more missions for the Mayor, improved performance, and fixed some small bugs. - New Gladiator Arena building featuring a huge “Gladiator Battle” mini-game! - New “Hurdles Challenge” mini-game available at the Track. - Daily Bonus – you are given the opportunity to open a chest with great rewards once per day. - Bank interest rates were increased. - Bank interest rates now take effect every 5 minutes while playing, rather than every time you sleep. - Job shifts now earn you much more money and require less time and energy to work, but earn less exp. - Mini-games now reward you much more exp but less money. - “Refill Energy” IAP now gives +20 max energy along with refilling your energy as a bonus. - 5 new missions for the Mayor. - New Gladiator Arena building featuring a huge new “Gladiator Battle” mini-game! - Bank interest rates are increased. - Stock Market share values are increased. - Bank interest is earned every 5 minutes while playing, rather than every time you sleep. - Real Estate profits are increased and earned every 3 minutes while playing, rather than every time you sleep. - Stock Market values are updated every 2 minutes while playing, rather than every time you sleep. - Greatly increased farming profits to make farming more worthwhile. - Decreased Mayor mission rewards a bit. - "Refill Energy" IAP now gives +20 max energy along with refilling your energy as a bonus. - "Raise Energy" IAP now gives +150 max energy. - Added a few easter eggs for fun.